For many, a car is more than just a way to get around. Luxury cars are trendsetters, embodying a level of refinement in performance and aesthetics that help define new levels of style. Driving a luxury car is like driving a dream. These dealerships can make that dream a reality. Known for its luxury vehicles for more than 100 years, a Mercedes represents quality and exceptional workmanship. You’ll find new inventory representing the latest models, as well as a wide-range of pre-owned cars in a variety of makes and models here. Smart cars, manufactured by Mercedes Benz, are also available…tiny can still be luxurious! Service department is open five days a week. BMW’s company motto worldwide is “Sheer Driving Pleasure” and here in the U.S. it’s “The Ultimate Driving Machine.” Staff at the dealership are committed to helping customers embrace these mottos with the purchase of a new or pre-owned BMW. Outstanding customer service goes hand-in-hand with owning one of these exceptional automobiles. Many styles from SUV to convertible to choose from. You’ll also find MINI’s, another brand from BMW. The Lincoln brand has a long history of building cars that offer comfort, beautiful aesthetics and extraordinary comfort. Lincoln Motor Company is a division of Ford Motor Company. Inventory here is heavy on Ford trucks, coupes, hatchbacks, sedans and SUVs, however, access to the luxurious Lincoln is available either as a new or pre-owned purchase. The hassle-free service department is open Monday through Saturday and offers specials and coupons on maintenance. A division of General Motors, Chevrolet is perhaps most well-known for the Corvette. Although a sports car, it’s also moved into the realm of luxury car by virtue of its precision performance and amazing technology. Also in that realm is the Cadillac, one of the oldest automobile brands in the world. You’ll find a little of everything Chevy has to offer, both new and pre-owned, at this dealership. If you can’t find what you’re looking for on the lot, the sales professionals will track it down. Quick service, friendly staff and great selection. This is one of the premier dealerships in the region. Customer service is the number one priority, as well as ensuring that once a customer, always a customer. Whether you purchase a new or pre-owed automobile, buy or finance it, the process from start-to-finish is all about customer comfort. Start at the website to narrow the choices and identify exact options and then contact the competent staff for an on-site visit. Lots of specials and promotions on both new and pre-owned vehicles, genuine Lincoln parts, service and accessories. One of the top selling premium cars for Toyota, the Lexus embodies the motto “Experience Amazing,” as does this dealership. Customers are considered as special as cars, so the experience here is friendly and attentive. Test drives are welcomed. Questions are embraced. Spending time here is encouraged. Inventory represents a variety of available models. Pre-owned vehicles include Lexus, plus other well-known models from GMC, Honda, and Jeep. Buying a Jaguar is an investment in a long-standing tradition of excellence. From its British roots to U.S. ownership and back to England under Jaguar Land Rover, this is a car that stands the test of time. The sales team at this dealership knows that there’s a specific style of Jaguar to match every customer and work diligently to make this match happen. Financing options, a conveniently located service center and an extensive selection make the car buying process here as enjoyable as driving a Jaguar. Family-owned for more than 80 years and now headed up by fourth generation family members, this dealership is a testament to doing things the right way. It bills itself as “The Can Do Dealer” and is one of three stores in the state to have a World Class Technician. All other techs here are GM and ASE certified. In addition to getting a great buy on a car, amenities include: on-site loaner cars, customer lounge with internet and TV, popcorn, drinks and a children’s play area, as well as a shuttle service so you can drop-off for service and go. New inventory includes cars, trucks, vans and SUVs of a wide-range of makes and models. 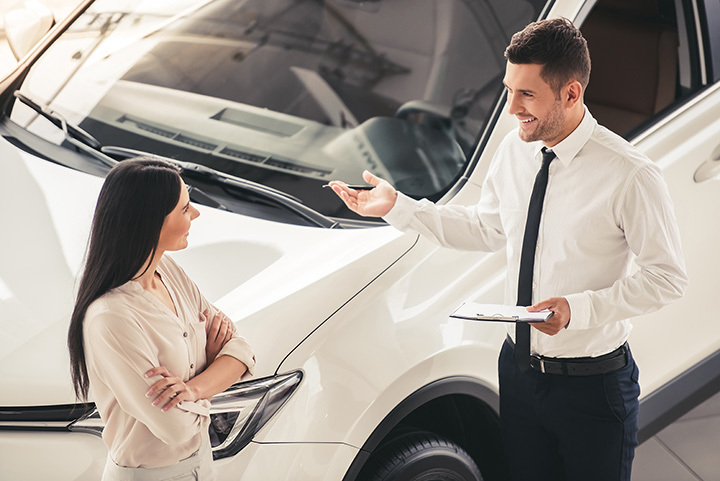 Customers from the surrounding towns of Portales and Roswell, as well as those in Clovis, will find an extensive selection of new luxury cars like Cadillac, the Chevy Impala and the Buick LaCrosse, plus a diverse selection of used cars. Competitively-priced vehicles, a well-trained sales staff and a top-notch service and parts department make this the go-to dealership in the area. A low-key, no pressure environment. Purchasing a big-ticket item like a car can be fraught with pitfalls. Best to go to a dealership with a good track record which is what you’ll find here. Top-of-the-line vehicles include the 370Z Coupe and Roadster, as well as the Altima Sedan, plus a dozen other models. Pre-owned cars run the gamut from Cadillac to Lincoln to Subaru and Volvo. If you like express service, a fully-stocked parts department and regular maintenance reminders, this is the place to purchase a car.